On 13-14 February 2013 we run the country’s first workshop in SPECTRUM at the Western Cape Archives in Cape Town. Thirty-five delegates attended the two-day workshop and we took them through all 21 SPECTRUM procedures and the associated policies, forms and registers that accompany SPECTRUM. 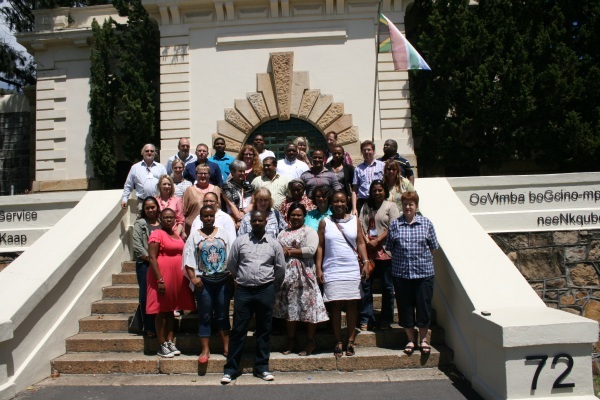 The purpose of this workshop was to introduce the SPECTRUM best-practices in collection management into the community of galleries, museums, archives and libraries (as is often referred to as GLAM) in South Africa. The delegates represented a range of institutions including each of these GLAM communities and found that SPECTRUM is applicable to all different types of collections, applied in different ways. This initial workshop provided the high-level structure of SPECTRUM, and we divided the procedures into six functional groups for both explanation of their role and also for conducting practical group discussions into how they can be applied. These six groups include Physical (Object Entry, Object Exit, Movement), and Ownership (Acquisition, Deaccession and Disposal, and Rights Management). The procedures of SPECTRUM are naturally interrelated with other procedures and this represents a challenge to learning and applying these into an institution. All institutions have some procedures and policies in place and this workshop helped the delegates examine what they can be doing better and now to adapt their internal policies and procedures, as well as their forms and registers, to meet international best practice. We will be running this workshop again throughout the year, and in different locations, so keep looking here or alternatively email us to get added to our mailing list for advance notice of our upcoming events.